St Andrew’s Church, Hambleton reopened on Sunday 10 September 2017 following a £200,000 revamp to its roof and a decade-long fundraising scheme, after being closed since January. 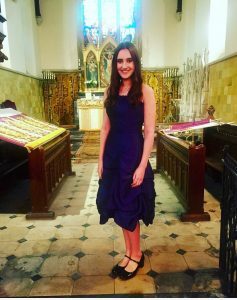 Sunday’s Songs of Praise service was conducted by the Canon Lee Francis-Deqhani and the Rev Charlotte Osborn, with the Oakham Team Choir Laudamus, soloist singer Katie Marshall and organist Kevin Slingsby, and was followed by refreshments. The service, marking the first day the church had been open since January gave the existing congregation and newcomers the chance to enjoy the many beautiful windows and architectural features of this 12th century church. During the service not only was the new roof blessed, but also the restored altar frontals and other fabrics. The order of service can be viewed here. The parochial church council at St Andrew’s Church in Hambleton – a village which has just 50 households – set out in 2007 to raise the funds after it was revealed that the 150-year-old slates were crumbling and needed to be replaced. 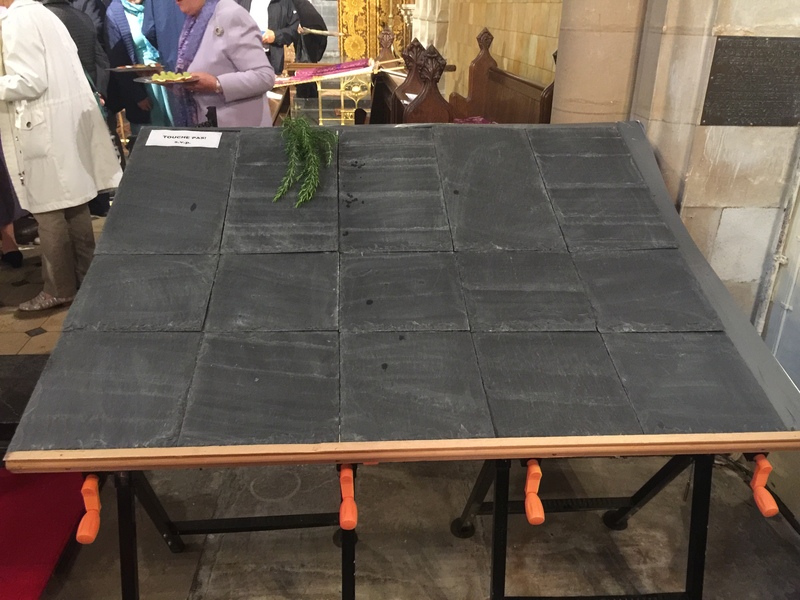 Under the leadership of churchwarden Miranda Hall the funds were raised and now the work to replace the crumbling slates has been carried out. The parish itself raised half the money needed through events including curry nights, quizzes, auctioning off harvest produce, horse race nights and open garden events. One of the biggest fundraising efforts was the ‘Sign a Slate’ scheme, giving residents and friends the chance to leave a message hidden in the roof for posterity. There are now 200 slates with messages safely ensconced in the rafters until the next time the roof is recovered. 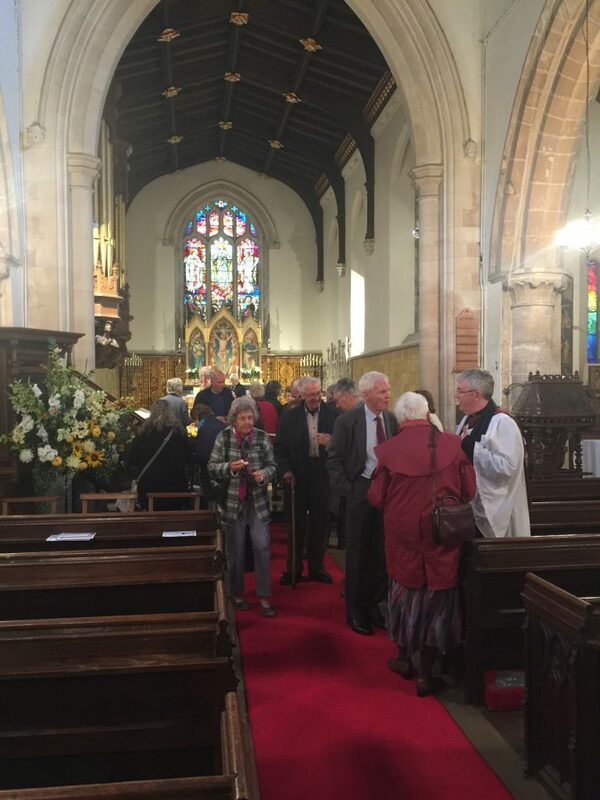 Grants were also received to help towards the cost from the Listed Places of Worship Roof Repair Fund and from the Rutland Historic Churches Preservation Trust to whom the PCC is very grateful. During the project, the church was closed to the public and the building shrouded with scaffolding. Inside, the nave and side aisles were filled with scaffolding to support the roof and all the church’s outstanding architectural features were covered in dust sheets. It is now all clean again and ready to welcome visitors. 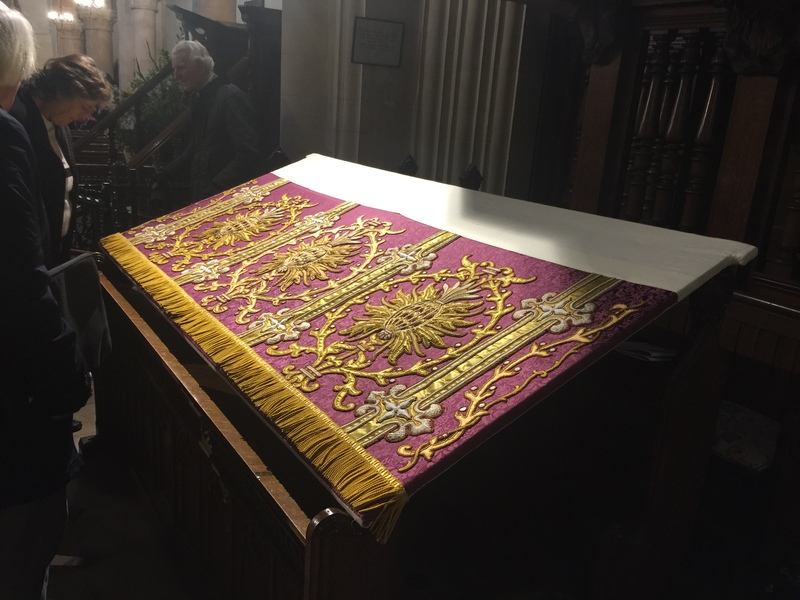 The Victorian altar frontal and other church textiles dating from 1890s, which were very fragile, have also been given a new lease of life under the guidance of Ruth Chamberlain, from Preston. Trained at the Royal College of Needlework, Ruth went on to the ecclesiastical workshop of the Sisters of Bethany in London where the Victorian altar frontals had originally been made. Restoration involved lifting the old silk and gold thread embroidery on to new damask and satin sourced from Watts of London, who had supplied the original material.